It's an update to the 2012 manifesto. Update: Riot has clarified that the bullet points quoted in the original story are a summary of how Riot will make its new values a reality, not the values themselves. The page has been updated, with the values placed more clearly at the top. They're split into five categories and cover things like Riot's relationship with players and how employees work with each other. Original story: In August, after allegations of sexism and toxicity, Riot Games apologised and committed to changing its workplace culture. One of the changes it's made since then is to its company values, posted on the official site. After five months of talking to over 1,700 employees, an updated set of values has been published. It amounts to four bullet points. We will continually invest in cultivating an environment where each and every Rioter is able to thrive and reach their peak performance. We will strive for fair and equitable processes that Rioters can rely on. Our leaders will live the values and actively promote them within their teams. Our ambition is that Riot will be the best place to work for all those who are passionate about our mission. They're extremely broad, but they're also just one part of Riot’s attempt to fix its cultural problems. 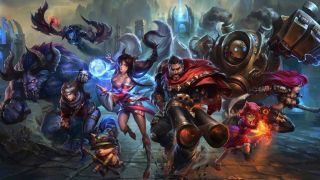 Last year, Riot created a page where it could update people with the steps it's taken to improve, and it’s much more reflective of what the company’s doing, which includes new hires aimed at tackling the issues raised last year, as well as training programmes that cover things like interviews and inclusivity. All of this is easier to post on a company website than effectively implement, but making Riot more accountable—and publicly, too—is a positive step.